Say goodbye to traffic lights and unnecessary stops in one's commute, for the vehicles of the future will render them things of the past. A startup based in Carnegie Mellon University has designed an Internet of Things (IoT)-based scheme that allows cars to autonomously collaborate in controlling the flow of traffic. This is achieved using transceivers making use of the IEEE 802.11p standard to send out the cars' location data. A custom algorithm then makes use of the location data, as well as supplemental information from digital mapping services, to determine which lane should have the right-of-way at any given point in time. 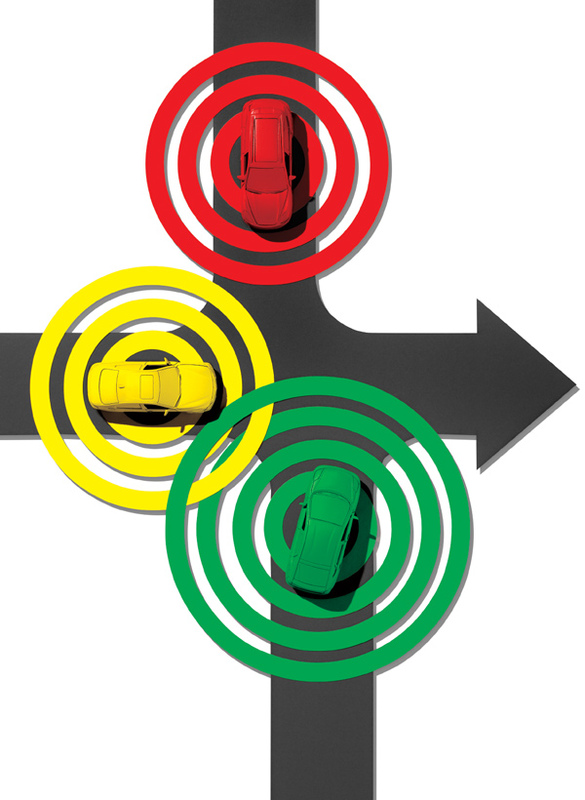 As a result, a "virtual traffic light" (VTL) setup that is more adaptive than traditional traffic light systems takes effect. The advantage of this scheme is that unlike currently-existing intelligent traffic systems, VTL does not require a lot of human intervention, nor does it make use of camera or radar technologies. Instead, a form of radio communication, dedicated short-range communications (DSRC), is used to relay the data needed by the system's algorithm. While DSRC can already be considered as a legacy technology, it is still readily available in most countries. This allows VTL to easily and swiftly be set up should its widespread implementation be approved. Early tests of the VTL system have been promising, with the scheme having drastically reduced travel times in cities like Pittsburgh, USA and Porto, Portugal. However, while some government organizations and car companies have expressed their support for VTL, final governmental approval for the system is still pending. Despite this hurdle, VTL's advocates are confident that soon, most, if not all, vehicles will be fitted for this scheme, thus reducing commuting times for people all over the world. Want to know more about this innovation? Just follow this link! Grab an electronic copy of our official newsletter, The Oracle.